The Disappearance Of Madeleine Mccann is finally available for fans to stream right now on Netflix! It’s Netflix Release Date is March 15, 2019. Watch the trailer, casting news and get everything else you need to know right here. The Disappearance of Madeleine McCann takes detailed look of the disappearance of 3-year-old Madeleine McCann who vanished from the seaside resort of Praia de Luz in Portugal, while on holiday with her family. It was a disappearance that reverberated around the world as the Portuguese police together with Scotland Yard mobilised a major investigation which would go on to become the most high-profile missing child case in British history. 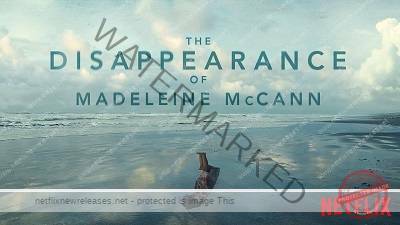 The Story Of Madeleine Mccann, The Young Girl Who Went Missing While On Vacation In Portugal. The Disappearance Of Madeleine Mccann’s Netflix Release Date is March 15, 2019. If you like what read about The Disappearance Of Madeleine Mccann, please remember to share Netflix New Releases on Facebook, Twitter or wherever you guys want it’s all appreciated.